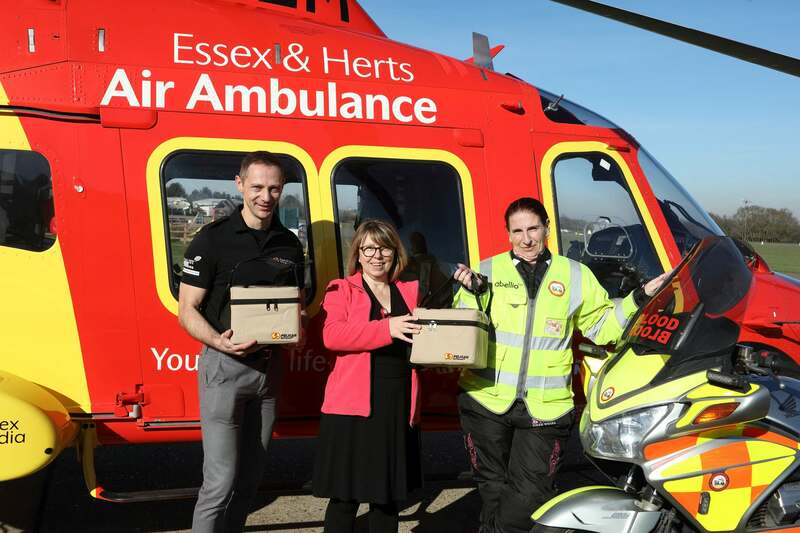 From March 20th 2019, Essex & Herts Air Ambulance (EHAAT) will carry blood supplies on board its helicopters and Rapid Response Vehicles (RRVs). This major development will provide a significant improvement in the care that can be provided to patients. The service is provided free of charge but, unlike NHS emergency services, the Charity receives no direct funding from the Government or National Lottery. It costs £750,000 every month to keep the service operational and saving lives, and this would not be possible without the generosity and goodwill of people and businesses of Essex, Hertfordshire and beyond. These teams, made up of highly-skilled individuals, tended to 1,491 patients in 2018 and are the backbone of your local life-saving Charity. The fleet, consisting of two Air Ambulances, and four Rapid Response Vehicles (RRVs - cars) operates seven days a week from 7am to 9pm. After sunset, the Critical Care Team continues to provide the service using Rapid Response Vehicles. * For more information regarding media usage, ownership and rights please contact Essex & Herts Air Ambulance.